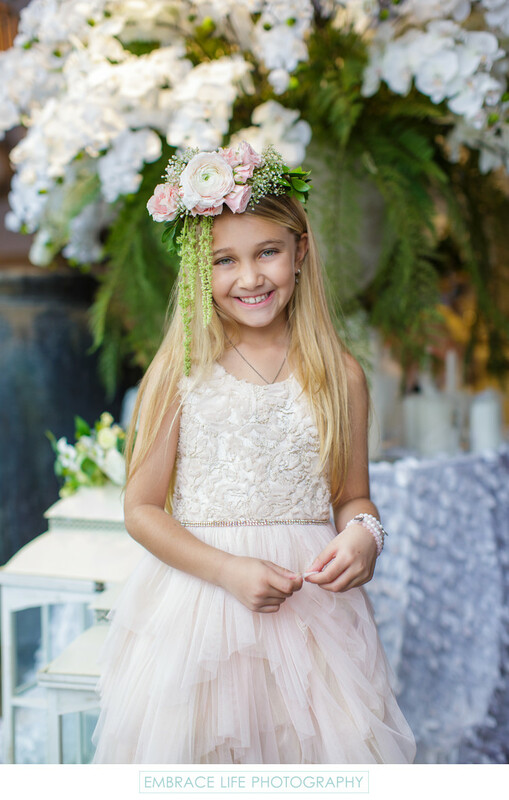 Portrait of the beautiful, blonde, smiling birthday girl at her incredible, garden-themed Westlake Village tea party at XO Bloom, photographed in her blush pink chiffon party dress and floral head band. Location: 966 S Westlake Blvd #4, Westlake Village, CA 91361. Keywords: Child (36), Event Photography (384), Portrait (888).